or call us at (410) 995-1515 to speak with an experienced Maryland car accident lawyer today for a free consultation. Yesterday, it is likely that many children woke up to a brand new bicycle, scooter, skateboard, or pair of roller blades sitting under their Christmas tree. A helmet and other protective gear should also be included with these gifts since they can be dangerous activities when proper safety precautions are not taken. Young children are more likely to get severe injuries to their head, arms, and legs when riding a bike, scooter, or skateboard and falling off. Most injuries can be prevented by wearing protective gear such as helmets, elbow pads, and knee pads. Any bicyclist who does not wear a helmet is at increased risk of head injury. A national survey has shown that only 48% of children ages 5-14 years wore bicycle helmets when riding. Most children find helmets to be uncomfortable and “uncool,” but they don’t realize they can also save your life by protecting your head from serious injury. Parents and older siblings need to set a good example for the younger children by showing them that wearing a helmet is the “cool” thing to do. When getting your child a helmet, make sure it is the proper size and that it is tightened and secure when on their head. Do not let your child be the one who gets seriously injured or even killed from not wearing a properly fitting helmet when riding their new bike, scooter, skateboard, or pair of roller blades. Make sure your children are safe when playing with their new toys while riding them into the New Year. Of the 2.1 million Marylanders, 1.9 million will be driving, which is also an increase compared to last year. Drivers must be careful when driving, especially with the predicted heavy traffic of cars on the road and the threat of a storm for the Eastern half of the country around the Christmas time period. Maryland drivers need to remember to drive safely and cautiously whether roads become wet from rain, ice, or snow. Distracted drivers are just as dangerous, so avoid texting and driving. Accidents are never a good thing, especially during the holidays when everyone is trying to get to their destination to spend time with family. It is important to understand that when the insurance company calls to speak with you, they are working to reduce their exposure. This means that the information that you give them is information that can be used against you. As a lay person, you may not realize what kind of information is harmful or helpful to your case. Because of this, it is essential that you find the help of an experienced Maryland automobile accident attorney who can advise you. Furthermore, a car accident lawyer can speak to the insurance company for you so that you will not make the mistake of revealing too much information. Not speaking to the insurance company is especially important for those who do not speak English fluently or speak English as a second language. The insurance company may take advantage of the language barrier to obtain information they can use against you. When you are treating for your injuries, you must listen to the advice of your doctor. Do not attempt self-diagnosis or stop treatment before your doctor advises you to discontinue treatment. Some clients make the mistake of ending their treatment process early and later discover that they are not fully recovered. By this time, it may be too late for those clients to make a claim for the treatment they subsequently receive. Do not make this mistake and risk your claim. Instead, listen to the advice of your doctor. The settlement process takes time. Our experienced Maryland car accident attorneys are skilled in negotiation. Oftentimes, this includes waiting out the insurance company to obtain the top offer. Because of this, it is important for clients to be patient and allow the attorney to obtain the most for your claim. From our family to yours, Happy Holidays and please drive safe! Labels: "accident attorney in maryland", "car accident lawyer MD", "maryland motorvehicle accident"
Monday night, a motorcyclist was tragically killed in Bowie, Prince George’s County, Maryland during rush hour while travelling on Laurel Bowie Road, south of Powder Mill Road. Police say the driver of the motorcycle “veered into oncoming traffic to avoid hitting a stopped car.” The motorcyclist was hit by an oncoming car, and the driver of the car was not injured. Motorcycle accidents are one of the most dangerous types of accidents because motorcyclists lack the same protection as cars and trucks. Motorcycles do not have airbags, windshields or seatbelts to protect them in an accident. After a motorcycle accident has occurred, it is important for you, as the rider, to follow these tips to protect your personal safety and to ensure your best chance at getting the compensation you deserve. o Nearly 62% of motorcycle accidents involve fuel leaks. You must distance yourself from the motorcycle if there is a leak. Further, make sure no one lights an open flame, including flares, near the scene of the accident if there is gasoline leaking. If you are injured, you should be taken to a hospital for immediate care. Common injuries resulting from a motorcycle accident include scrapes and bruises, broken arms and/or legs, and concussions. It is important that a doctor examines your injuries to determine the severity. o After any traumatic event, such as an accident, your body’s adrenaline may cause you to act irrationally. Remain calm by taking deep breaths and sitting down. Do not talk to anyone because adrenaline sometimes causes people to speak without thinking, and it is important to avoid admitting fault. o Make sure you exchange information with all involved parties and wait for the police to arrive. By leaving after the accident, you open yourself up to a hit and run felony charge. o It is very important to keep a record of all expenses you incurred as a result of the accident. Some common expenses include doctor’s visits, repairs and lost wages from time missed at work. o A police report is important because it will document the facts of the crash, the parties involved and record of any witnesses. If police do not arrive at the scene, it is best to file a report later at the police station. o Call an experienced motorcycle accident attorney to help you recover any benefits to which you may be entitled. It is important to call a lawyer as soon as possible to assure that all evidence and witnesses do not disappear. Last year alone, 46 mail carriers were bitten by a dog in Baltimore City, and more than 5,500 mail carriers were attacked. In the entire Baltimore District, which includes almost the entire state of Maryland except the Washington, D.C. suburbs, 61 mail carriers were bitten. A Postal Service spokeswoman wrote in an email that dog breeds, housing types, and mailbox types may all be factors in causing a high number of dog bites and attacks. The public needs to be aware of “potential hazards posed by unrestrained dogs” and take action to prevent these unprovoked attacks from happening. Postal Service carriers are trained on preventing dog bites, but dog owners also need to take measures to keep their dogs from attacking postal carriers. Mailmen and women are not the only ones subject to dog attacks, small children and the elderly are also frequent victims of dog attacks. The urban layout of a city such as Baltimore likely contribute to the high number of dog bites and attacks because mail carriers are forced to walk on the streets and into small yards where it is easier to come in contact with a dog. A common mistake that dog owners make is saying to a mail carrier that they should not worry about the dog or that the dog is friendly. A Chicago-based group, Prevent the Bite, says that neutering or spaying a dog will cut down the chance of getting bitten. In fact, “70% of dog bites are from male dogs that have not been fixed,” according to Prevent the Bite. · A dog owner is responsible for a dog bite attack if the owner kept a dog which he knew to be dangerous or had previously bitten someone. This rule is known as the "one free bite" rule. · A dog keeper is responsible for a dog bite if they had prior knowledge that the dog had previously bit someone, or if the dog keeper knew the dog to be a dangerous dog. · A landlord, one who has the right to control the dog’s presence on the premises of where the bite occurred, may be held liable for the injuries of a dog bite if the landlord knew that the dog was a dangerous dog. · Landlords of a commercial property, such as a shopping center, may be held liable for a dog bite. If you are on commercial property, the land owner has a duty of reasonable care to keep the premises safe and to protect you from dangerous situation. or call us at (410) 995-1515 to speak with an experienced Maryland Workers Compensation Attorney today for a free case evaluation. Portner & Shure’s workers compensation department recently tallied a big win in a hotly contested case relating to the premises exception to the coming and going rule. The case involved a worker who was struck by an automobile in her employer’s front parking lot while walking to work in the early morning, sustaining serious injuries to her head and knee. The employer denied the worker’s claim, arguing that it was denied by the coming and going rule. The general rule in workers compensation law is that injuries sustained while coming and going to and from work are not compensable. The rationale behind this rule is that the risks workers are exposed to while traveling to and from work do not arise out of and in the course of employment, as these risks are borne by the general public daily. This general rule, however, is not without exception. The “premises exception” to the going and coming rule provides that an injury sustained by a worker who has arrived on her employer’s premises, but has not yet begun her shift, is compensable. Maryland courts have held that the parking lot of an employer’s business constitutes “premises” for purposes of this rule. At the hearing, the employer argued that the worker’s case was not covered by the premises exception because the worker was walking through the public parking lot in the front of the store, as opposed to the back parking lot designated for employees. A witness for the employer testified that employees were not permitted to park in the front lot without special permission. A witness for the worker testified workers customarily parked in the front lot. Portner & Shure’s attorney, Christina Ruhl, argued that the case of May Dept. v. Harryman, 307 Md. 692 (1986) should apply and that the worker’s injury should be compensable. In the May case, the court held that the premises exception applied to a parking lot regularly used by employees of a shopping center, as well as the general public, even if the parking lot was not controlled by the employer. The Workers Compensation Commission held that the premises exception applied according to the May case, because the lot was customarily used by the employees of the employer, and was at times used with the owner’s special permission. The Commission awarded the worker temporary total disability benefits and authorized continuing medical treatment. If you or someone you loved as sustained a Maryland work injury, or would like more information on workers compensation, please call us at (410) 995-1515 for a free consultation. Labels: "injured at work in Maryland", "Maryland work accident", "Maryland workers comp attorney", "Maryland workers compensation attorney"
or call (301) 854-9000 to speak with a top rated Maryland automobile accident attorney for a free case evaluation. The long-awaited express E-ZPass lanes on Interstate 95 in the Virginia and Washington, D.C. area is expected to open this month. These new lanes will extend and add capacity to the HOV lanes already present on 95 to create a 29 mile stretch of HOV/Express lanes. This will stretch from the Edsall Road area in Fairfax County to Garrisonville Road in Stafford County. Many drivers in the area are confused about what devices will be needed, how much it costs to use theses lanes, how many people need to be in the car, and what is an E-ZPass Flex transponder. The Virginia Department of Transportation and the company Transurban will operate the lanes and have spent months trying to educate drivers in advance of the opening. First, the E-ZPass Flex transponder should only be purchased and used if you will, at least occasionally, drive in the express lanes with at least two passengers. This device is flexible because it allows the driver to switch in and out of a carpool setting. As a result, when driving with at least two passengers and the device is switched to HOV mode, no toll will be assessed. However, if you do not plan on carpooling in the express lanes, the regular E-ZPass device will still work and a toll will be assessed. Drivers should also know that Virginia State Police can detect when the transponder is in HOV mode and can count the number of occupants in the car. If the driver is using the express lanes with the HOV mode on to avoid paying tolls when not carpooling, they can be ticketed by police. This year, Virginia eliminated the monthly fee on E-ZPass accounts in a move to promote carpooling using the express lanes and a flex transponder. However, if you have an E-ZPass Flex device and do not use it for carpooling at least once in the first six months, your account will be charged a $10 fee. In terms of the cost for using the express lanes, the toll varies and does not have a limit as to how high it can go. Nevertheless, the normal average rate is predicted to be between $6 and $8. There are no rate periods because tolls will rise or fall depending on traffic. There will never be a time when it is free to use the express lanes (unless operating a carpool with the flex device). The cost for using the express lanes is likely to be lowest when driving during off-peak times when traffic volume is lowest. There will be two signs before choosing to take the express lanes that show the cost, and it is the price shown on the second sign that will be what you pay. Traffic along 95 throughout Virginia is some of the worst in the country, making car, truck, and motorcycle accidents a common occurrence. However, with this new 29 mile stretch of express lanes and the incentive to avoid paying tolls when driving with at least two passengers, traffic should improve and the number of accidents should diminish. Labels: "automobile accident in Howard County", "baltimore car accident attorney", "baltimore car accident lawyer", "baltimore motorcycle accident attorney"
Visit us at www.portnerandshure.com or call (410) 995-1515 today to speak with a top rated Maryland personal injury attorney for a Free Case Evaluation. Due to the nice weather last Monday, a Montgomery County resident went for a bike ride, but was tragically killed after being struck by a water utility truck. Police said the Washington Suburban Sanitary Commission truck was driving on Darnestown Road, near Quince Orchard Road when he began to turn left on a green light. At the same time, the bicyclist, who was wearing a helmet, was riding in the far right lane when he too started to turn on a green light. The truck collided with the bicycle at the entrance of a shopping center, and the bicyclist could not save his life at the scene. All indications are that this was an accident. It is unfortunate that these kinds of accidents are occurring more often, and drivers must remain aware of their surroundings and be cautious of bicyclists on the road. Juries offer larger awards to victims when there are serious permanent injuries and all evidence points to the defendant being at fault. However, it is up to your attorney to present evidence in a manner that clearly explains wrongful death damages and/or the extent and nature of the injuries. Bicycle accident victims must choose an experienced personal injury attorney with abundant litigation skills in order to receive the compensation they deserve. Cole Field House’s history goes back to 1955 when it housed its first Maryland college basketball game where the Terps defeated Virginia. The arena still holds the record for being the site of the most upsets of number one-ranked men’s basketball teams with seven. Cole Field House also hosted NCAA tournament games and concerts. Maryland played its last basketball game in Cole under Hall of Fame Coach Gary Williams in March 2002 with a win over Virginia. That same year, the Maryland basketball team went undefeated at Cole Field House and went on to win the National Championship. Currently, the building is used for homecoming events, classes, and offices. It is important that the future plans to transform the arena will maintain the history and tradition that made Cole Field House such a special building. Mr. Shure was a running back on Maryland’s football team from 1985 to 1987, and he certainly supports this planned renovation. He was a three-time member of the ACC All-Academic Team. Today, Mr. Shure implements football strategies in his legal philosophy by never cutting corners and pushing aggressively on each automobile accident and medical malpractice claim. As a result, Mr. Shure has helped settle and negotiate millions of dollars in client recoveries every year. From our family to yours, we hope you've had a wonderful Thanksgiving. Here are some fun facts that we thought we'd share. The Puritans brought beer with them on the ship, thereby making beer a traditional Thanksgiving drink. The concept of American football games being played on Thanksgiving Day dates back to 1876 when the game was invented. NFL games being played on Thanksgiving Day is a tradition dating back to the 1920's when the league was created. visit us at www.portnerandshure.com or call (410) 995-1515 today to speak with a top rated Maryland criminal defense attorney for a Free Case Evaluation. Just last week, Montgomery County prosecutors dropped more than 30 charges against a couple and their two sons who were accused of hosting an underage keg party. This case raises the question of whether county police are being too aggressive in trying to crack down on underage drinking. The charges were dropped after a Montgomery County Circuit Court judge found that police officers had “improperly slipped into the backyard” of the couple’s house. As a result, the judge stated that all observations made and evidence collected from being in the backyard was not admissible in court. Montgomery County has a specially trained group of officers that focuses on making sure underage drinking parties are not taking place. The county’s reason for employing this special group of officers is to combat the “numerous drunk-driving deaths” in the county. The ruling in this case is quite interesting given the fact that public safety is a major emphasis for the county. While police officers are working hard to combat underage drinking and to prevent drunk driving, the officers cannot violate people’s Fourth Amendment rights in order to obtain evidence. or call 410-995-1515 to speak with an experienced Maryland personal injury attorney today for a Free Consultation. All patrons of the Ottobar (assuming they legally entered the building) are “business invitees,” which means the Ottobar owners owe all concertgoers at their venue a duty to use reasonable and ordinary care. If the allegations about Defendants encouraging “stage diving” and “crowd surfing” are true, the Defendants breached their duty to use reasonable care. This is not the first time the Ottobar has been sued for a “stage diving” incident. In fact, in 2011, the Ottobar settled a case out of court involving a patron getting injured by a “stage diver.” The Ottobar is not the only music venue facing litigation. Venues all over the United States, including the Fillmore in Silver Spring, Maryland, are facing similar actions due to crowd surfing injuries. In order to recover in a personal injury case, whether its wrongful death or bodily injury, you must first prove “liability.” In other words, you must prove the defendant was at fault or to blame for the accident. The general term that is used in all injury cases is “negligence.” A negligent act occurs when a party fails to take “reasonable care.” Therefore, the lawyer’s job is to prove the defendant acted unreasonably given the circumstances. The burden of proof is on the plaintiff. In other words, if you were hurt you must show “more likely than not,” fifty one percent to forty nine percent, that the defendant acted unreasonably. In Maryland, that is where an experienced personal injury lawyer is a necessity. The top injury attorneys have seen many different fact patterns, defenses, and are aware of the danger of “contributory negligence.” The attorney’s experience is necessary to overcome the liability hurtle and get damages. Maryland Transportation Authority (MdTA) warned drivers today to pay their toll violations or their vehicle registrations will be suspended or flagged for non-renewal. There is an estimated $7.1 million in accumulated unpaid tolls in Maryland. MdTA will begin sending letters to approximately 131,000 vehicle owners, “informing them they will have their vehicle registration blocked or yanked entirely if they don’t pay what they owe in tolls and associated citations.” A majority of the toll violators lacked an E-ZPass device but went through specified E-ZPass lanes anyway. Others arrived at tolls without any money and failed to follow directions for how to pay. Drivers can contest the toll violations and civil citations in District Court if they believe an error has been made. We are thrilled to be nominated for such a high honor. If you or a loved one has been involved in an accident or sustained an injury as the result of someone elses negligence, please call us at (301) 854-9000 for a free consultation or visit us on the web at www.portnerandshure.com. Labels: "accident attorney in maryland", "accident cases", "accident injury lawyers", "after a car accident", "Baltimore County Personal Injury Attorney", "car accident attorney maryland"
or call to speak with one of our experienced Maryland medical malpractice attorneys at (301) 854-9000 for a free consultation. 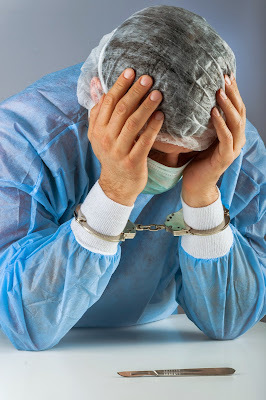 Medical malpractice occurs when a healthcare provider causes injury or death to a patient by failing to act within the applicable standard of care. Many Columbia, Maryland patients expect to receive the highest level of care and assume that their doctor's will take good care of them. Doctors are also expected to be able to make a diagnosis or recommend appropriate treatment to a patient. However, doctors misdiagnose illnesses and diseases far too often. One common misdiagnosis is diabetes, where doctors fail to diagnose a patient with the condition and the patient is subjected to permanent injuries. In order to prove malpractice, there had to have been a breach of the standard of care and/or a failure to obtain informed consent. The attorneys at Portner & Shure possess excellent legal knowledge, in addition to being familiar with the health care profession and standards of treatment. Diabetes is a serious condition affecting over 25 million people, with more than 8 out of every 100 people developing the disease. Diabetes is a metabolic disease in which there are high bloof sugar levels. If a doctor fails to diagnose it and it is left untreated, serious complications can occur including heart disease, stroke, kidney failure, amputations of toes, and even death. Misdiagnoses can cause serious harm to a patient, and if an injury or death was caused through medical malpractice in Columbia, Maryland, an experienced attorney from Portner & Shure can help you get the compensation you are entitled. Labels: "maryland birth injury lawyer", "maryland failure to diagnose attorney", "maryland medical malpractice attorney", "maryland medical negligence lawyer", "maryland misdiagnosis lawyer"